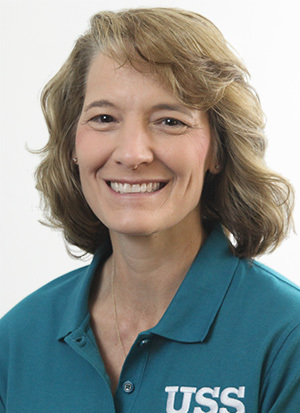 Lea Boucher is the VP of Finance and Human Resources for United Structural Systems, Inc. Lea is a Certified Public Accountant and has over 30 years of accounting and auditing experience. This certification and experience gives her the ability to handle the many facets of her job, which include accounting, internal controls, financial and tax reporting, job costing, inventory control, payroll and human resource issues, as well as managing all insurance policies for the company, and many other areas too numerous to list. Lea earned her BS in Business Administration from the University of Tennessee at Martin. Lea is a member of the Construction Financial Managers Association which allows her to connect with other financial managers in the construction industry. Prior to coming to USS, Lea was an Audit Manager with the TN Comptroller of the Treasury for 15 years and was responsible for the audit of the State of Tennessees financial statements. She has also served as the President of the Nashville Chapter of the Association of Government Accountants. Lea is married to Clint Boucher and they have two children and currently reside in Coopertown, TN. She is a member of First Baptist Church of Joelton where she also serves on the Budget and Finance Committee and previously served on its Board of Directors. Lea is a runner and has competed in a number of marathons. She also enjoys spending time with her family doing most anything outdoors.